Looking for a drink which helps burn calories? 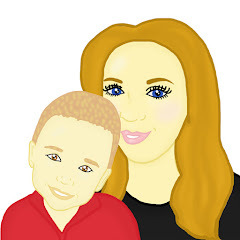 Since I gave birth to Maxwell, I have always struggled with not being able to get back to my pre-pregnancy weight. My problem is I enjoy snacking and also enjoy drinking fizzy drinks which is not great for my health. Recently Aspire got in touch with me to ask would I like to try their drink that promise to burn calories, I thought I would give it a whirl. Aspire is lightly carbonated and helps burn calories at any time of the day. Aspire contains justs 5 calories (Kcals) per 100ml and contains a combination of carefully selected beneficial ingredients such as Guarana Extract,Green Tea Extract and L - Carnitine. The drink also provides a good source of vitamins and minerals. I have to be honest and say I did not really enjoy the drink. The problem is that it only comes in one flavour - cranberry flavour and didn't like the taste. I found the cranberry to be quite tangy and maybe a little bitter. On a positive note however the fizziness of the drink was perfect. It was not a drink that made my eyes run due to being too fizzy. The drink is best served chilled and when served chilled I believe it gives it a more refreshing taste. After drinking a can, although I was not full I did not crave any snacks I normally do. The drink also made me have a little more energy and I did not feel tired after drinking it. The idea of the drink being in the can is a great idea. It means that you can transport the drink to work, on a picnic or to the park with the children. It is hassle free. The cans are a average size so you do not have to worry about drinking the drink fast and worrying if you don't drink it all it will be going to waste. To improve the Aspire drink, I think Aspire should bring out a range of flavours as then the drink would be open to more people as I am sure I am not the only person to hate cranberry. The drink retails at £1.79 a can and is available at a number of retailers like Tesco, Holland and Barrett and Waitrose. 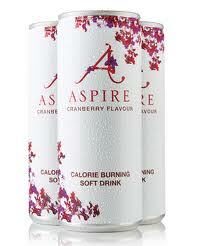 You can follow Aspire Drinks on Facebook and on Twitter. a drink that burns calories - now thats a great idea!